In the technological era, augmented reality is on everyone’s lips. It is the latest technology which gives extremely different experience to the people. Sports fans always have to have the inclusion of some kind of technology in different types of sports. They want to have the immersive experience while watching sports. Hence these days, the applications of augmented reality are the latest trend. Augmented reality technology is about supplementing the real world views with the computer generated views to give the different experiences to the real world. Whether it is Football, basketball or car racing, the applications of AR can be seen easily. In the world of car racing, augmented reality is getting a popular name. With the help of this technology, your car can race on the dynamically constructed racing track. 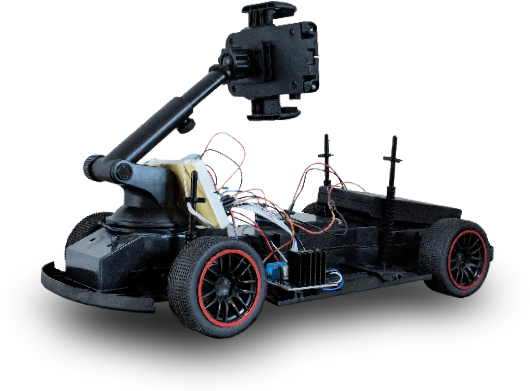 Augmented reality kit data is used for construction of the racing car track. It enables the participants to get the full control over the steering. Winners are selected by accurately measuring the competition time lapse. In sports stadium: Even if you watch the match in the stadium, there are a number of shots which you may miss. This is the place where AR technology comes into play. It helps in merging virtual and the real world in the real time. In techno-sports: With the help of augmented reality, tech sporting has become more interesting and immersive. It combines the power of AR technology with the physical movements of the player. For this type of sport, the players have to wear a special sensor based gear in order to take the sports to a new level. The motion sensors attached to the body detect the motion so that virtual movements can be brought together with the real time movements. For more information, Please visit : arrccar.com.